Conceptually, it can be said that development of the embryonic central nervous system begins with a population of undifferentiated, multipotent cells and ends up with a highly organized arrangement of mature neurons each of which expresses a functional neurotransmitter phenotype. This ultimate, functional phenotype is a product of the interaction of numerous influences impinging on multipotential neuroblasts. Physical factors such as cell-cell contacts, migratory pathways and a plethora of soluble factors all profoundly influence establishment of neuronal phenotype during neuroembryogenesis. For example, definitive studies by LeDouarin and coworkers beginning in the early 1970’s (Le Douarin, 1973; 1980; Le Douarin and Teillet, 1974; Le Douarin et al, 1975; Le Douarin and Smith, 1988; Teillet and Le Douarin, 1983) demonstrated in vivo that neuronal phenotypes are neither rigidly predetermined nor static. They found that the migratory destination of autonomic neuroblasts of neural crest origin determines their ultimate neurotransmitter phenotype. Furthermore, they demonstrated that exposure of neural crest-derived presumptive adrenergic neuroblasts to cells from another germ cell layer, splanchnic mesoderm, results in a phenotypic shift to fully differentiatied cholinergie neurons (Le Douarin et al, 1975). 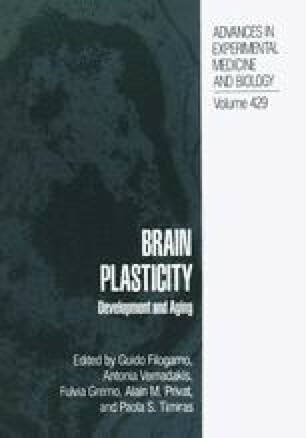 Collectively, these studies have introduced the idea of neuronal plasticity in the developing brain.